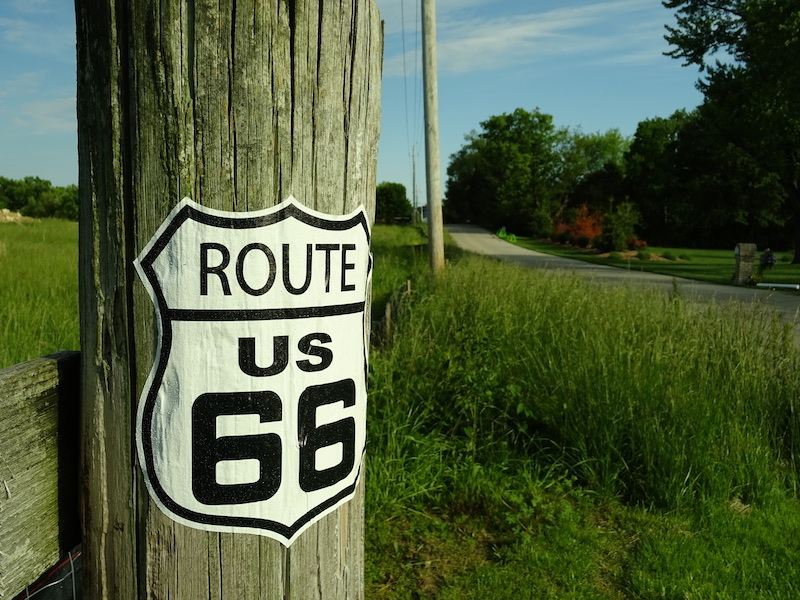 Outdoor Die-Cut Roamin Rich Route 66 Sign. 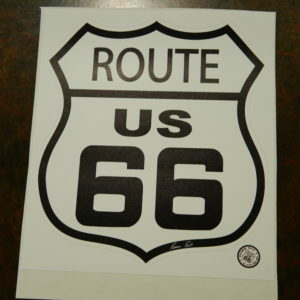 Show your Route 66 Pride just about anywhere with this Roamin Rich Die-Cut Route 66 Sign printed on durable aluminum high tack material for Brick, Cement, Asphalt and other Outdoor Applications. 12″ and Larger Sizes Require J-Roller to Apply. 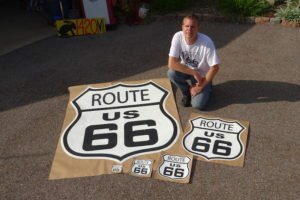 To apply, find and mark your spot, peel and stick the decal to the clean and dry substrate, then roll on with a roller. 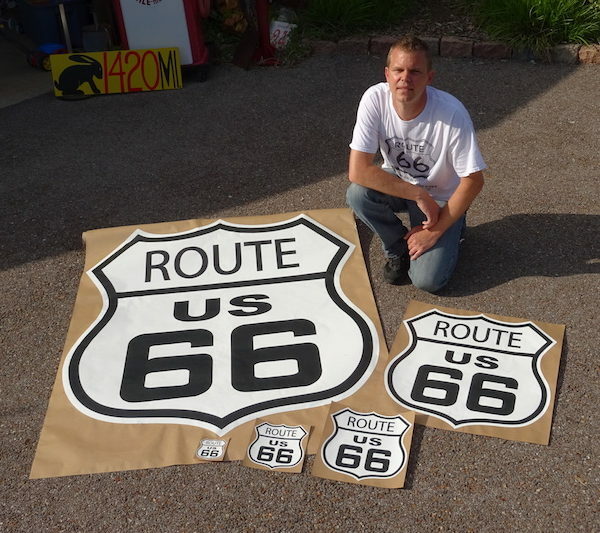 The sign with take the curves and pores of the substrate. It’s high tack, so removal is not easy. Be sure to find the right spot before applying. Please note: you have to roll this with a “J Roller”, which is included with the 12″ and larger size. This roller helps the aluminum base decal conform to the surface. When this is used it appears to be painted on. If it is not used, peeling will occur. 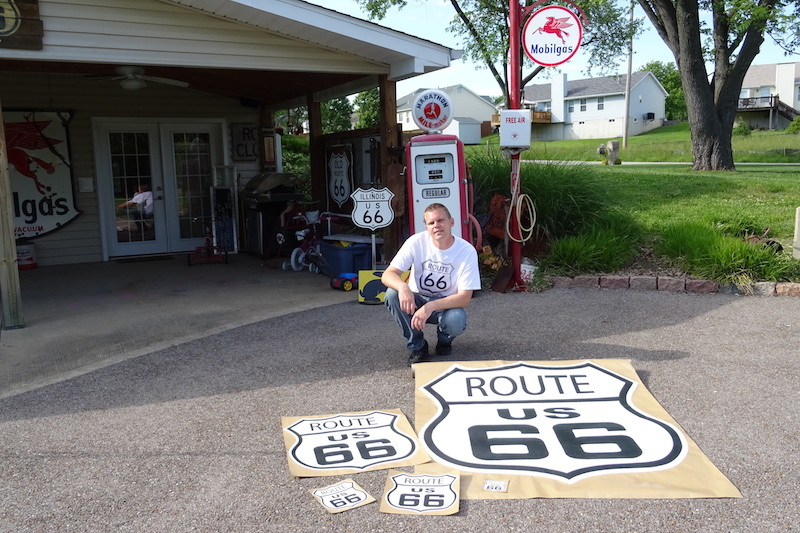 These outdoor die-cut signs are printed with the best wide format printer in the industry.